It is week 3. My week is next week. So watch for my baskets. But this week is the courthouse steps. It's a block I really love making. 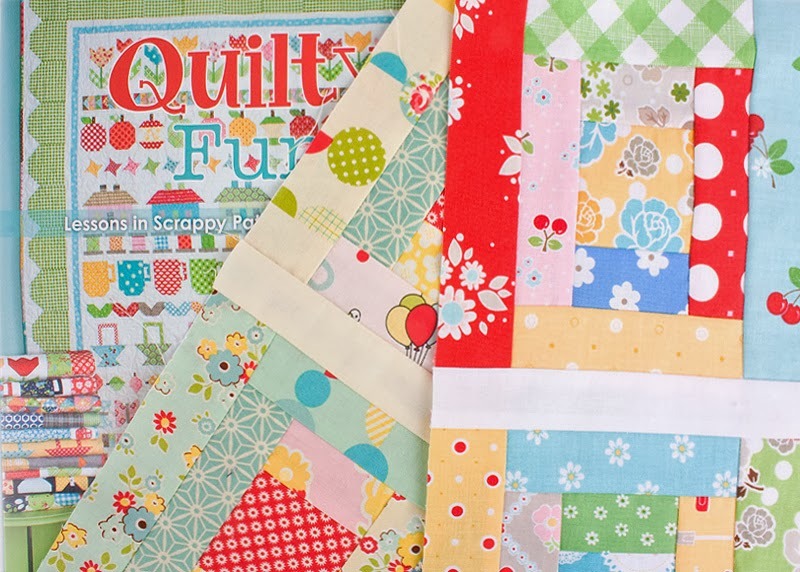 Hop over to Rachel at PS I Quilt for all the deets. Yes. I said deets. 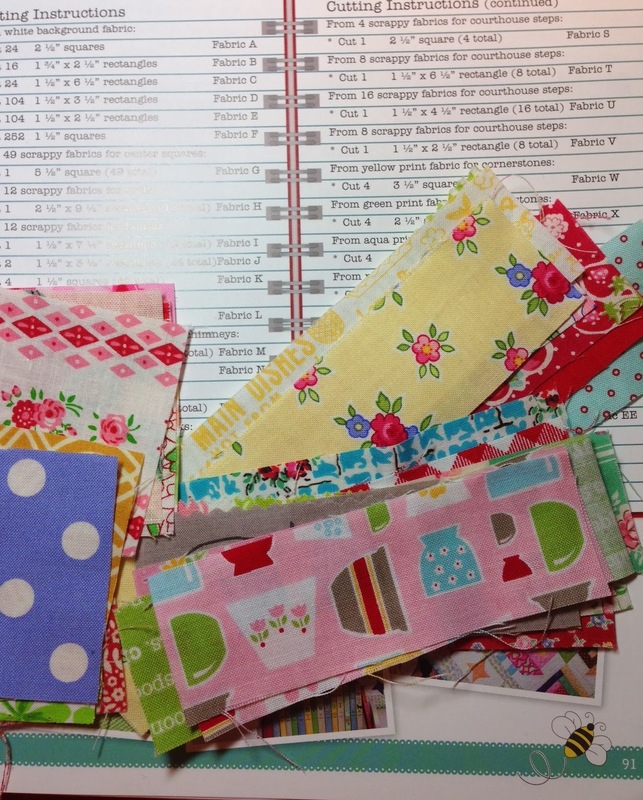 Fat Quarter Shop Blog has good info, too. Rachel said the blocks work up very fast and I totally agree. Fun to use scraps from other projects. The cutting can come directly from your scrap basket/bin. And there I have 4 courthouse step blocks. Lovely. I love these blocks. 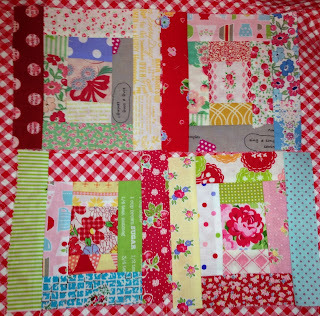 I can imagine an entire quilt of these fun blocks. Yours are so cute, I love your taste in fabric :) can hardly wait to see your baskets! Your blocks are so beautiful !!!! You are a big artist !!!! 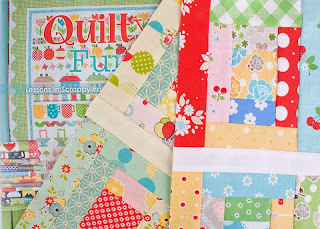 I love your colorful scraps! I will be back to see your baskets. they are a favorite block of mine. Love your blocks. OH boy I am so far behind. Ohh love them, also love seeing some PKL and PKP in there! Oh love the pretty colors! I am looking forward to your up coming post. some day I am going to come in a sneak some of your scraps as you have the best fabric ever!! Love your blocks. I will be back next week. So pretty, Nanette! Your combinations always make me smile. I do love your happy! Love the blocks, they are fun to make, and you've created such cute ones.